Whether installing a new system or rehabilitating an existing one, Infra Pipe knows that projects can sometimes be challenging, requiring unique fittings or connection tie ins , a non-standard system design or simply the job has to get done fast. With over 50 years of manufacturing and fabrication experience, Infra Pipe is the industry expert in Weholite design, fabrication and installation. Our ability to design and fabricate unique Weholite structural elements, empowers our clients with the flexibility and confidence that no matter how challenging the project, there is always a Weholite solution. Whether looking for engineering design, modelling, project consultation or specialized in-field, welding services Infra Pipe is here to help and support you. Our engineering design services are specific to Weholite and Weholite structural elements. Sometimes projects have unique challenges and needs, where conventional materials will not work or are cost prohibitive. 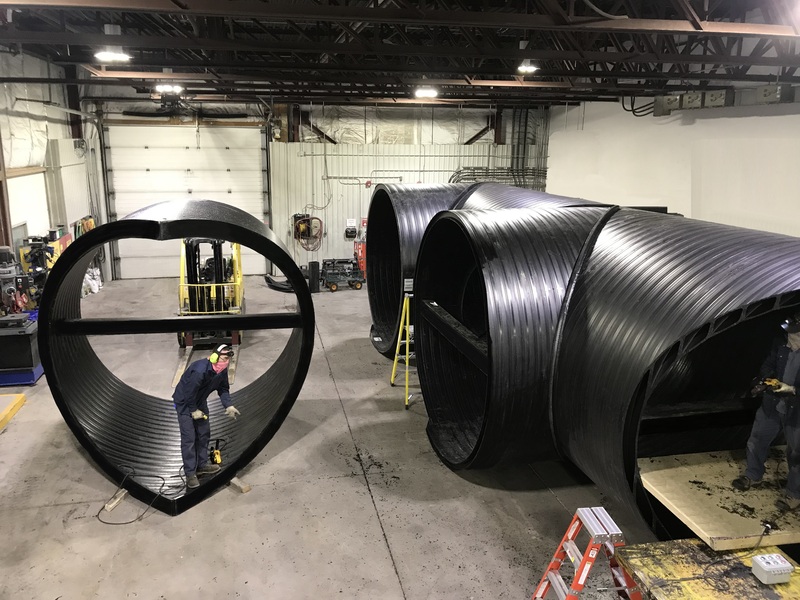 Weholite can be cut and fabricated into unlimited configurations, empowering our clients with the ability to create and innovate when facing project challenges. 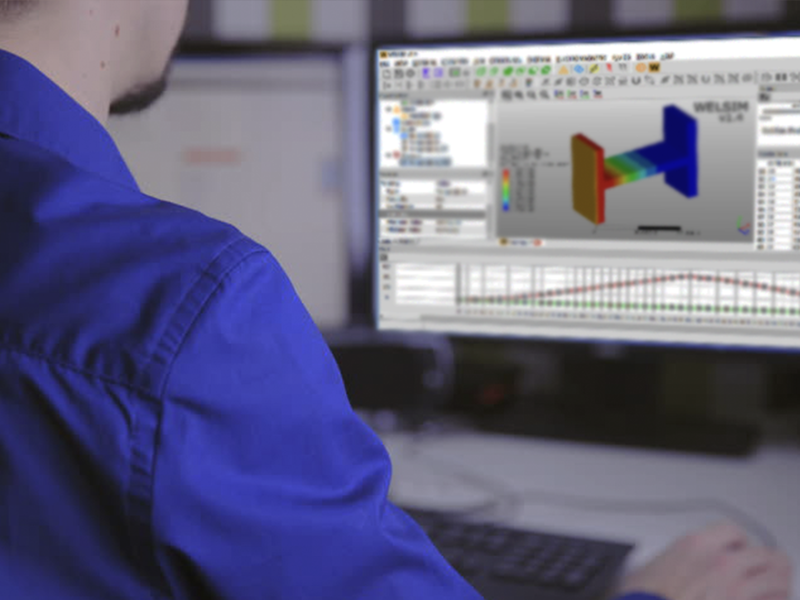 Engineering services works with you in the development of design and modelling, testing it along the way, ensuring code compliance, structural integrity and operational safety. Contact your local Weholite representative to see how we can help you. Weholite Engineering Services, "Turning Ideas Into Solutions"
Infra Pipe provides fabrication services within our ISO 9001:2015 facilities, specific to the manufacturing of Weholite structural elements, fittings or systems. Fabrication Services manufactures a comprehensive selection of Weholite fittings including elbows, headers, laterals, reducers and tees, ensuring that any Weholite solution has the right complimentary component to complete any system and ensure its success. Fabrication services custom makes piping assemblies, vessels, chambers, manholes in a wide range of sizes and designs. Contact your local Weholite representative to see what we can make for you. Field applied, thermally fused extrusion welding services is specific to Weholite. Fused connections are needed when systems will operate under low internal pressure or when water-tight joints are required. Reliability, performance, zero leakage and the ability to bend the pipe, results when joints are fused, while making the system fully restrained, eliminating the need for thrust restraints and lowering costs. Infra Pipe's specialized Weholite fusion services, speeds up pipe install by use of a semi-automated, internal fusion welding machine, operated by experienced personnel. 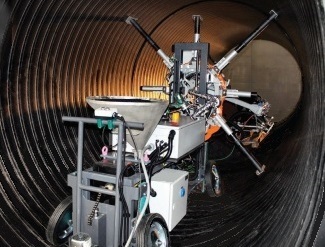 Weholite semi-automated welding services is only offered to Weholite clients. Contact your local Weholite representative for additional information.